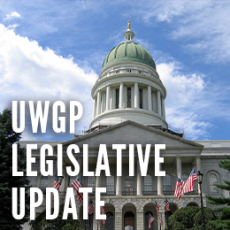 To get the Legislative Update delivered to your inbox every other week, sign up below or email Ronald Jarrett, United Way of Greater Portland’s Director of Public Policy and Advocacy, at advocacy@unitedwaygp.org. In our inaugural newsletter we shared information about significant work being done at the state level regarding WIC. This important program is the subject of many pieces of legislation. We want to provide you with additional updates on the advocacy work being done at United Way of Greater Portland to strengthen this resource. The federal Women, Infants and Children Program (WIC) provides nutrition for low-income pregnant women, breastfeeding women, and infants and children under the age of five. As of October 2018, 14,233 Maine infants, toddlers, and Kindergarteners receive WIC. Young children accessing healthy food through WIC experience improved dietary outcomes, including increased average intakes of iron, vitamin C, thiamin, niacin, vitamin B6, and overall nutrient density. Specific WIC food packages are prescribed for different groups of participants (e.g., pregnant women, infants, young children) to supplement their diets based on nutritional needs. The packages were revised in 2007, the first time since 1980, to align the packages with the Dietary Guidelines for Americans and infant feeding practice guidelines of the American Academy of Pediatrics. All WIC state agencies were required to implement the new food packages by October 2009. Overall, the revised WIC food packages improve the health and nutritional quality of the foods in the program, increase participants’ choices, and expand cultural food options. More specifically, the revised packages retain the basic WIC foods, including milk, cheese, eggs, fruit juice, iron-fortified cereal, beans, peanut butter, infant formula, and (for breastfeeding women) tuna. In addition, the new packages move to low-fat or non-fat milk; offer fruits, vegetables, and whole-grain bread (with the option to substitute whole-grain tortillas, pasta, rice, or other grains); and allow the substitution of soymilk, tofu, and (in 2015) yogurt for milk and cheese. While great strides have been made to increase access to healthy food for WIC recipients, there are still limitations. Full options are not available for WIC recipients at farmers’ markets; only fruits and vegetables can be purchased during the summer and fall seasons. This bill compliments LD 421, which would allow WIC vouchers to be processed by farmers markets and certified individual farmers. Both of these bills are expected to have a Work Session together within the next 2 weeks. 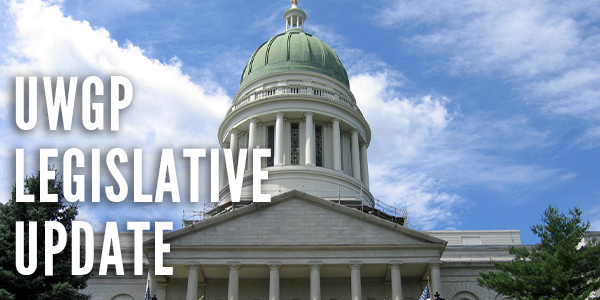 If you’d like to show your support for these two bills, or share your personal story about how WIC has impacted your household, please contact advocacy@unitedwaygp.org. The current vaccination exemption and immunity threshold rates are putting Maine communities at risk. 2017-2018 data on Maine kindergarten students tells us that 5.3% have been issued exemptions with 0.3% being medical and 5% being non-medical. In Cumberland County, we have public and private schools with exemption rates that far exceed the national average and put those school populations at risk for preventable illness through vaccination. 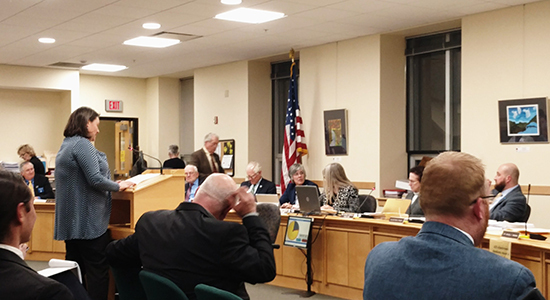 On Wednesday March 13th, over 250 community members appeared before the Maine State Legislature Committee on Education and Cultural Affairs to speak on behalf of LD 798, a bill that would remove some exemptions to receiving immunizations. This unprecedented showing was accompanied by over 1350 pieces of testimony that had been previously submitted. If you’d like to encourage the legislature to remove certain current non-medical exemptions to receiving immunizations and protect our communities or share your story, please contact advocacy@unitedwaygp.org. 1 in 7 Mainers can’t afford to buy enough food. Luckily, SNAP is there to help our neighbors put food on the table. For Whitley, SNAP gave her the boost she needed to get back on her feet and thrive. Has SNAP made a difference in your life? Share your SNAP story at advocacy@unitedwaygp.org. Public hearing was held on Wednesday, March 13, 2019. As of March 14, 2019 the Committee on Judiciary had TABLED this bill. Public Hearing was Monday, February 25, 2019. Public Hearing was held on Wednesday, March 20, 2019. The budget hearing for tax issues was held on March 20, 2019. A public hearing is scheduled for Wednesday, April 3, 2019 at 1:00 PM, Cross Building, Room 209. The Governor has proposed a language change for the current fiscal year in a budget bill. Public hearing was held on Monday, February 25, 2019. If you would like to know how you can be an Advocate for these important policies, feel free to contact advocacy@unitedwaygp.org.